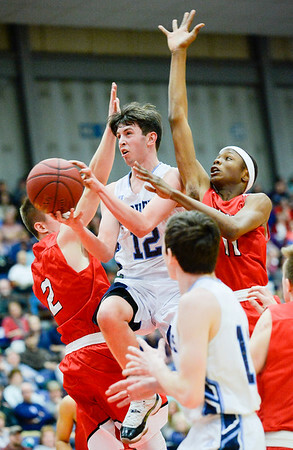 Sam Atwood's shot gets tipped off its path by Amahde Carter, right, during the first quarter of the Class A North Semifinal game in Augusta Wednesday night. Oceanside moves onto the finals after a 67-61 win. 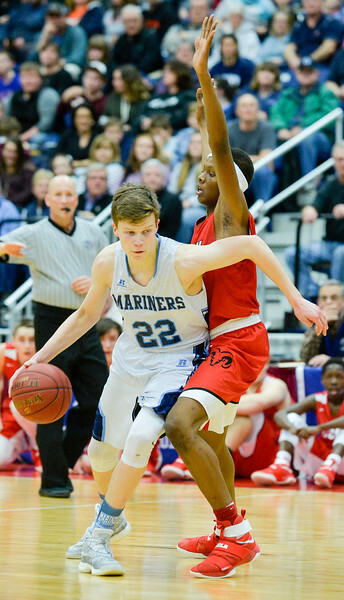 The Mariners' Sam Atwood is able to break away from Amahde Carter and regain control of the ball in a failed steal attempt during the first quarter of the Class A North Semifinal Wednesday. Oceanside won in a close 67-61 game. 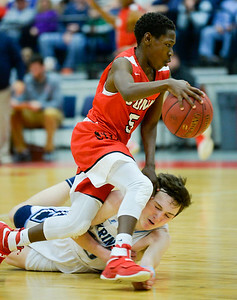 Michael Norton Jr. gets ran over by Simon McCormick after a brief fight for the ball in the second half of the Class A North Semifinal Wednesday. Oceanside won 67-61. Oceanside's Cooper Wirkala takes off with the ball after a scuffle with Cony's Amahde Carter for a rebound in the second half of the Class A North Semifinal Wednesday at the Augusta Civic Center. Jack Lombardo celebrates a late in the game free throw during Oceanside's Class A North match-up against Cony Wednesday in Augusta. 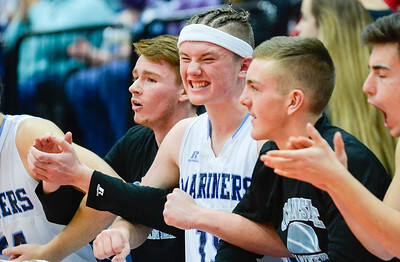 The Mariners won 67-61 and moved onto the regional final on Friday. 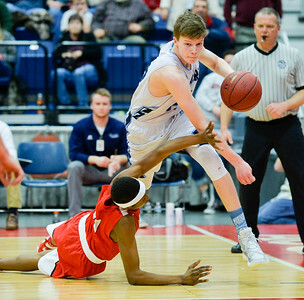 Cooper Wirkala maneuvers around Amahde Carter during the second half of the Class A North Semifinal Wednesday. 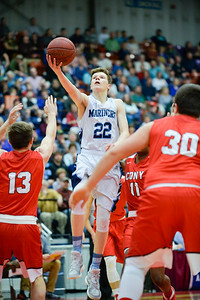 Cooper Wirkala makes a two-point basket during the first quarter of the Class A North Semifinal Wednesday. 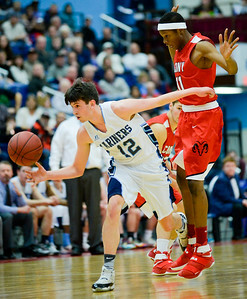 Oceanside bested Cony 67-61. 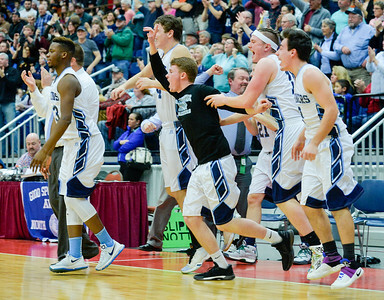 The Oceanside Mariners celebrate their close 67-61 win over Cony Rams in the Class A North Semifinal Werdnesday at the Augusta Civic Center.